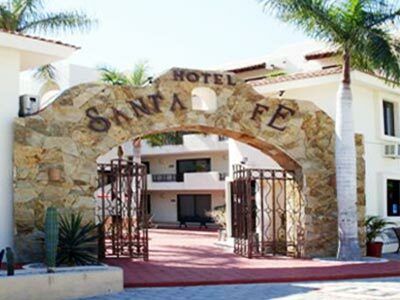 Hotel Santa Fe is a beautiful and affordable city center property. Only 5 minutes walking distance to downtown Cabo. All rooms with a queen bed, sofa bed, fully equipped kitchenette, air conditioning, phone, and satellite TV. Swimming pool, mini-market, deli, and laundry facilities.